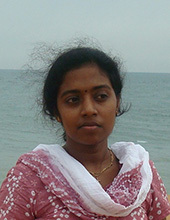 Ceena Joseph works with the mechanical testing of superalloys for instance Thermomechanical Fatigue properties. High temperature fatigue behaviour and its relation to microstructure, temperature and strain rate combination is of interest of aerospace industry to predict the life of components. Det kan finnas fler projekt där Ceena Joseph medverkar, men du måste vara inloggad som anställd på Chalmers för att kunna se dem.